Fleeing peasants found refuge in simple fortifications: consisting just of a ring made of palisades around on a hill or an island in a river with and a kind of a log cabin in the center. These Motte-and-bailey-style defences were no match for vikings of course: people just hoped that normans, hungarians and huns would be satisfied with raiding the houses and not bother to attack the wooden refuge. Only few artefacts remained from this early medieval constructions. The wood tended to decompose after a few decades of rainy weather – or was replaced by more enduring walls of stone. Most of the german castles evolved from this wild-west-fort-like retreats. First and foremost castles were build to secure the rag rug of hundreds of small, medium and larger german feudal states and some independant cities. That is the explanation why so many castles existed. They were errected at borders and important strategic points, of which germany has plenty. 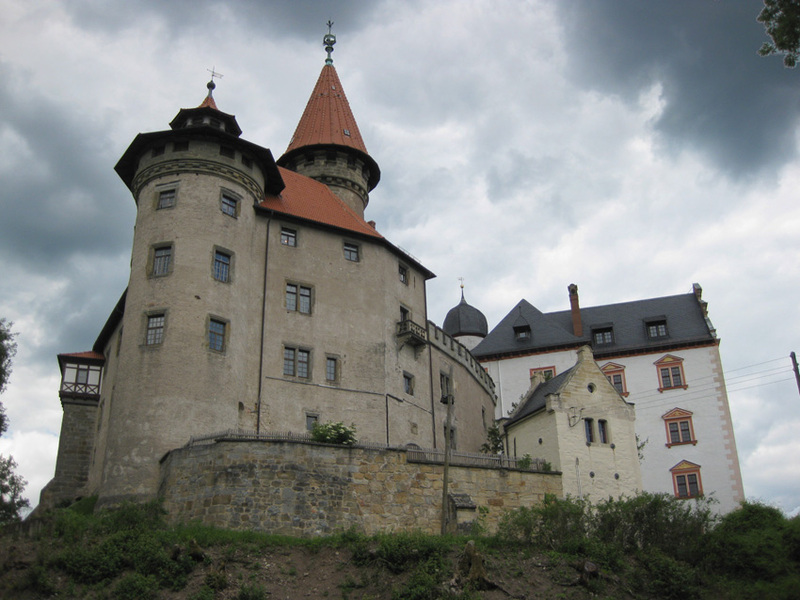 Castles controlling tradingroutes and rivers gave opportunity to collect toll and charges. Fortifications overlooking citys reminded the wealthy traders, who cared for their securtity – and whom they had to pay taxes and respect. German emperors of the high middle ages like Friedrich Barbarossa („Redbeard“) hat no capital like Paris or London. They possesed some palaces scattered over their incoherent land. 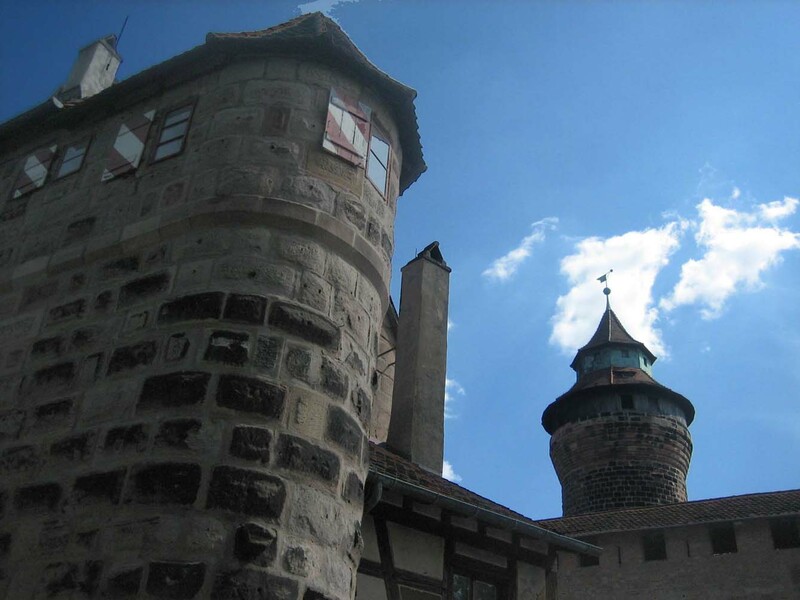 Therfore they toured around with their royal household, visiting their palaces like the mighty castle of Nuremberg and stronhgholds of local rulers. That on one hand was an honor for the visited, on the other hand such a royal stay of some weeks could ruin even a rich nobleman and strip whole areas of any food available. 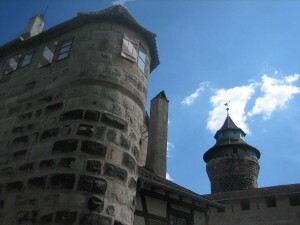 Living on a castle turned out to be painstaken. Cold, wet, mainly dark rooms made it easy to catch a cold and to ruin one’s eyes. So in the years after 1500 more and more fortifications where conversed into palaces in style of the renaissance. With the emerging of canons in warfare, castles had to change their defenses rapidly. 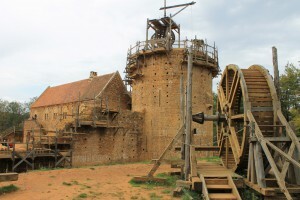 Platforms had to be build for canons, ramparts and walls constructed more massiv than ever before needed. The french General Sébastien Le Prestre de Vauban revolutionized the fortification of castles and even whole citys like Rocroi in the Champagne region. He created a five jagged system of ditches and ramparts ideal to minimize damage by artillery and make it quite impossible to storm the walls in a frontal assault. But the race between engineers designing pieces of artillery and the wall-building defenders ended usual in favor of the attacker. Think of Fort Sumter. Constructions of brick and even concrete could be pounded to rubble. 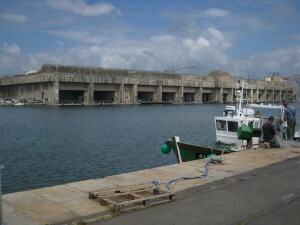 During second world war the german wehrmacht tried to protect the shelters of their u-boats in french bases like Saint Nazaire with layers of steel-armed concrete (thickness of eight meters) – to offer a secure place for the submarines fighting the battle for the atlantic while alliied aircraft dominated the sky. In the last month of the war, even these huge bunker ceilings were penetrated by the superheavy bombs like Tallboy or Grand Slam (at that time the atlantic-battle was long ago won by allied forces) . The only chance for defenders was (and still is) to dig their bunkers deep into grown rock of a moutain range. The swiss army did this but had no opportunity to prove the effectivity (the nazis planed to attack switzerland but didn’t carry out the operation). So today there are a lot of fortification and castle ruines of all eras in different stages of conversation waiting for visitor (the most heritage sites are open for the public, at least with guided tours. 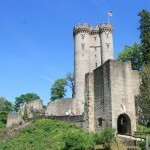 The time of castlebuilding is not over in Europe. 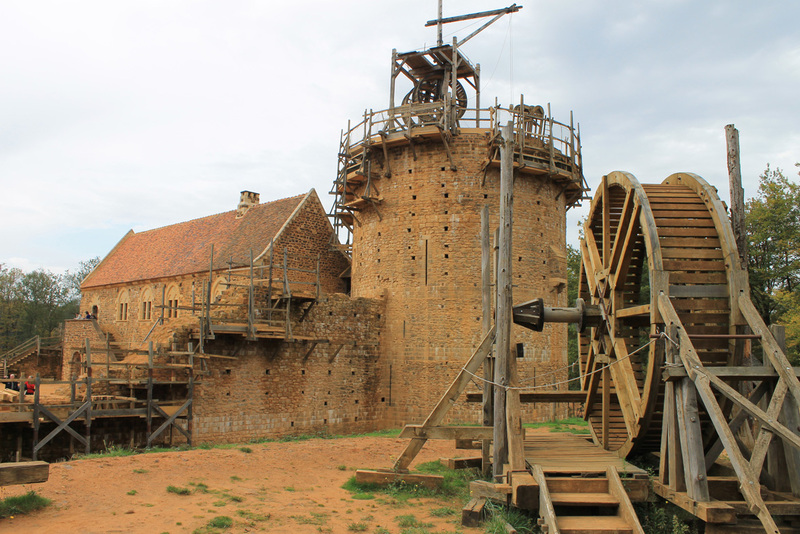 In Guédelon in the french region of Burgundy a fortification is growing, errected with the means of medieval masons and carpenters (although the security standards in use date from nowadays). A great project which will take three more decades to be finished. I took some photos while visiting. By the way: I’m always searching informations about european castles, which have been purchased by Americans, stone by stone transferred to the USA and re-build there. 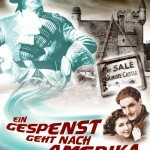 If anyone knows about such an „imported castle“, please tell me. 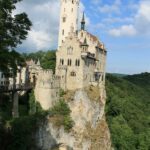 More english written stuff about castles in Germany offers „monkeys and mountains“. 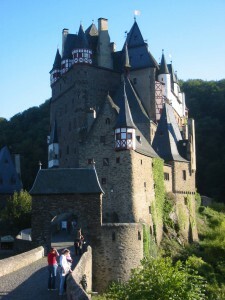 Titel of the article: „My Favorite Castles in Southern Germany„. 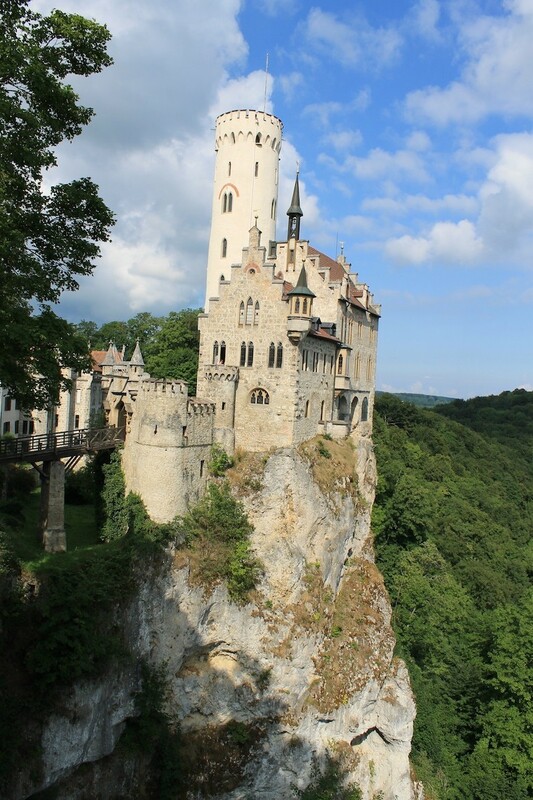 „It’s a blog“ shows Burg Hohenzollern: „One of Germany’s Prettiest Castles“ (mainly rebuild in 19th century by the prussian king in a way a prussian nobility wished a medieval castle to be).